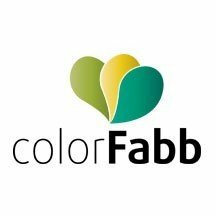 ColorFabb is a manufacturer of filaments for 3D printers based in Europe, specifically in the city of Venlo in the Netherlands. Renowned in the world of 3D printing, ColorFabb produces various types of plastics: PLA, ABS and some complex, original composite materials. Innovation and high-quality are an integral part of the ColorFabb spirit. The filament in production is measured over 1000 times per second via laser. For a premium quality on all filaments for 3D printing and for the fluidity of your prints in 1.75mm and 2.85mm, ColorFabb has set a tolerance of + or - 0.05mm on its filaments. ColorFabb is considered the market leader by many experts in the field of filaments for 3D printers. ColorFabb offers a very wide range of colours for their PLA and PET filaments, to enable you to carry out your printing so that it matches your requirements and wishes most accurately. ColorFabb guarantees you very resistant, odourless filaments that have a high glass transition temperature. The ColorFabb filaments are styrene-free and BPA-free and they are also compatible with food contact. ColorFabb offers you PLA filaments of optimum quality, thanks to a constant search for new materials but also as a result of their unique packaging process. In fact, just minutes after the production of the spools, ColorFabb filaments and the boxes are sealed immediately in order to guarantee you the high-quality and optimum freshness of your products. ColorFabb filaments have been designed to operate with a maximum of FDM 3D printers such as Ultimaker, FlashForge. During the Renaissance, navy blue was the most expensive pigment a painter could use. Inspired by the original ultramarine blue, this colour produces 3D prints with a super chic look. ColorFabb PLA is a premium PLA manufactured in the Netherlands. It is 100% biodegradable and developed for excellent quality 3D printing. ColorFabb PLA comes in a 750g spool. As bright as a summer day, the intensity of this shade of blue is like a cloudless sky. ColorFabb PLA is a premium PLA manufactured in the Netherlands. It is 100% biodegradable and developed for excellent quality 3D printing. ColorFabb PLA comes in a 750g spool. BrassFill is a brass-based filament that gives a natural golden effect to your creations. This unique filament created by ColorFabb is reserved for 3D printing experts. Ready for the challenge? Brass filament in 1.75mm, 750g spool. Based on the Amphora 3D polymer, reinforced with 20% carbon fibre, this filament is perfect for parts requiring high rigidity. XT-CF20 has an excellent matt surface finish when printed. XT-CF20 1.75mm comes in a 750g spool. If you’re looking for something special in your 'filament library', then have a look at this Woodfill from ColorFabb. About 70% Colorfabb PLA and 30% recycled wood fibres. This spool of WoodFill contains 600g of 1.75mm filament. This BronzeFill 1.75mm filament from ColorFabb is actually made of bronze. Print metal on your desktop 3D printer! Ideal for jewellery, statues or any other artistic project, this bronze is reserved for experts in 3D printing. ColorFabb Bronze 1.75mm filament comes in a 750g or 1.5 kg spool. CopperFill Copper filament 2.85mm is another metal filament straight out of the ColorFabb lab. It is made up of copper powder and PLA. After a quick post-treatment, your print turns coppery with a patina for a beautiful finish. Comes in a 750g spool. One of the latest creations from ColorFabb, CorkFill powdered cork-based 1.75mm (stopper). CorkFill Cork 1.75mm filament is available in a 650g spool. ColorFabb SteelFill Steel filament 1.75mm consists of PLA, PHA and steel powder. SteelFill lets you print hard objects with a steel look. Comes in a 750g spool.